Help! My Husband Snores and I Can’t Sleep! When I first got married I had no clue how to sleep through snoring. I’d be laying there going insane while my snoring husband was next to me, blissfully unaware I secretly wanted to put a pillow over his head. Instead I’d just go to couch and wonder, was I ever going to sleep again? 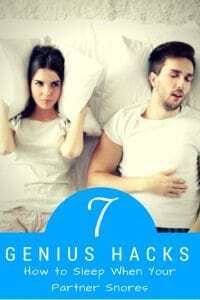 I decided to make it my mission to figure out a way to sleep with someone who snores. My husband never liked it when I deserted him in the middle of the night, so he was pretty game for just about every idea I came up with even if they were pretty weird. 1 Help! My Husband Snores and I Can’t Sleep! 4 I Love my Soft Headphones to Wear While Sleeping! *Snoring can be a symptom of a more serious condition, like sleep apnea. Be sure to see your physician first. I know it’s easier said that done, but it really helps if you can beat your partner to sleep. My husband can fall asleep in five minutes or less, usually while I’m talking to him. I have trouble sleeping a lot, and it can take me a long time to fall asleep. I started going to bed about a half hour before he did, but it’s hard fall asleep under pressure. I started taking all natural homeopathic sleep aids before I went to bed so I could be drowsy enough to fall asleep quickly. Prescription and over the counter sleeping pills can do more harm than good, so it’s usually a good idea to use natural sleep methods unless your doctor says otherwise. My favorite natural sleep aid is Bach’s Rescue Remedy for Sleep. It comes in spray or gelcap form, and you just take it about a half an hour before bed so you’ll be drowsy enough to fall asleep. One night when my husband was loud and I was particularly ticked off, it hit me. Why the heck haven’t I been using earplugs to block snoring? There’s a ton of earplugs that claim to muffle snoring, and I think I went through most of them trying to find ones that worked. Most were duds, but I finally found earplugs that blocked snoring enough to where I couldn’t hear him most nights. This was the first time I ever got close to sleeping in silence. I still wear earplugs every night, and it’s one of my top snoring partner tips I give to my friends who don’t know how to sleep through snoring. I Love my Soft Headphones to Wear While Sleeping! Using earplugs to block snoring is effective, but they can only do so much. Earplugs, well, just plug your ears and they only work as long as the snoring level is minimal. If your partner is snoring loud enough, you can still hear it through your soft tissues. My husband bought me SleepPhones to wear while sleeping for Christmas. Let me tell you, you’ll have to pry these things out of my cold, dead hands before I’ll sleep without them. I can honestly say when I wear these I don’t hear him snore at all. EVER. They’re bluetooth, so I listen to white noise from an app on my phone. I still wear earplugs with my sleeping headphones so the white noise blocks what the earplugs don’t. Now every night I get to listen to the relaxing sound of rain hitting the roof instead of my husband pulling paint off the walls. Admittedly, SleepPhones can be pricey, but they’re worth it. But if you’re desperate and on a budget, there are plenty of headband headphones that are pretty darn cheap, but still effective. 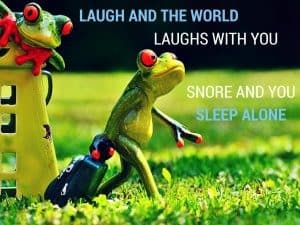 Some people can sleep through snoring if they have another noise to focus on instead of the snoring. Putting a white noise machine for snoring in your bedroom can give you that, plus help you both sleep better. I like white noise machines because sudden loud noises (like snoring) doesn’t seem as jarring when something soothing is playing in the background all night. 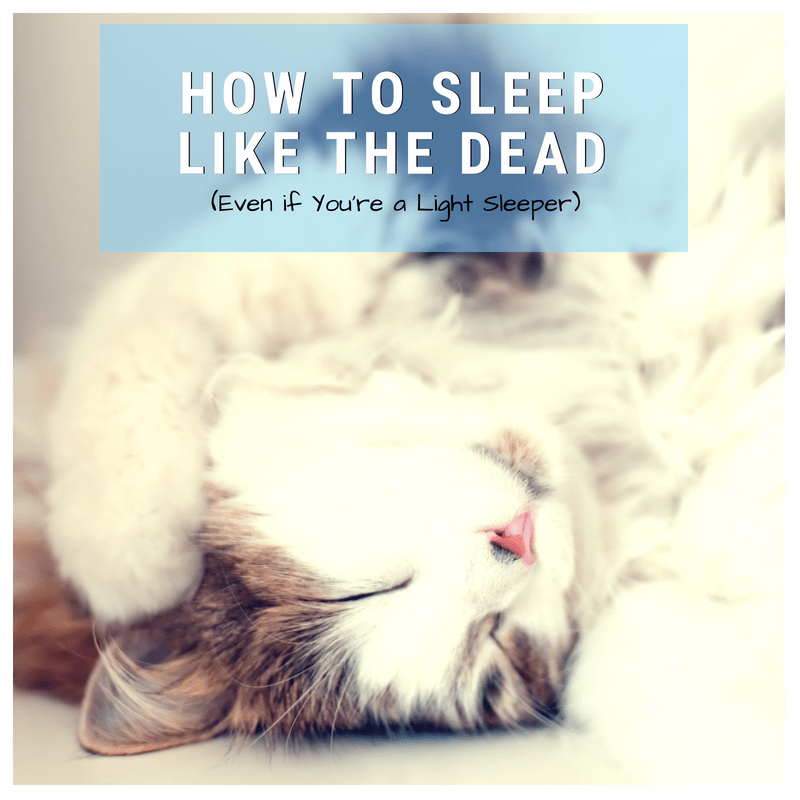 If you’re wondering just how to sleep through snoring one more night and you can’t or don’t like the earplugs or headphones, white noise machines are definitely an option. 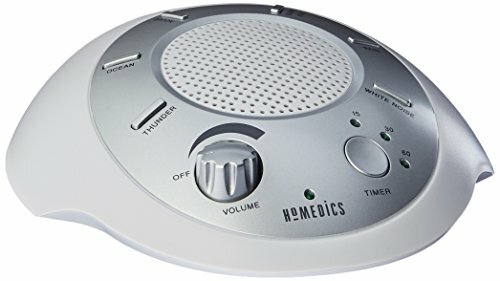 If putting a sound conditioner in your bedroom is something you’d like to try, I’ve written a buying guide for white noise machines that can help you choose which one is best for you. Wouldn’t it be wonderful if you could sleep right next to your partner and completely ignore the sound of their snoring? I’m talking not even hearing it at all. It’s a possibility with snore blocking hypnosis MP3’s. Snoring hypnosis trains your brain to ignore the sound and not pay any attention to it at all. Kind of the same way if you’ve ever worked or lived near train tracks, an airport, or somewhere noisy, after a while you don’t even notice the sound anymore. 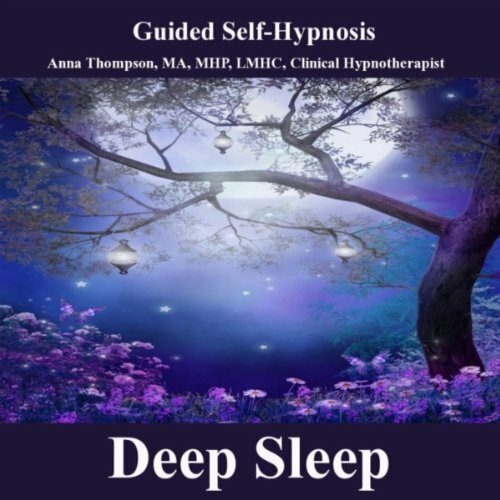 Although hypnotherapy for snoring is something I’ve never tried, I did use hypnosis for text anxiety and had fantastic results. I personally know hypnosis can work. 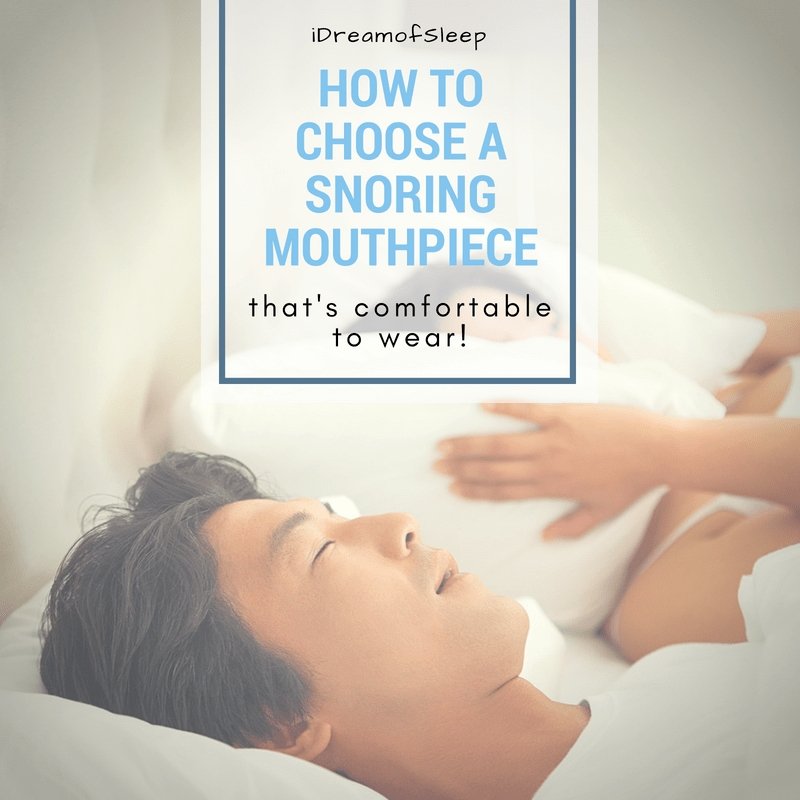 I think if you’re desperately trying to figure out how to sleep through snoring, it’s worth a shot. Right after we got married, my husband decided we needed to go from a queen to a king sized bed. He said it was because I’m a bed hog. (I say the jury is out on that one!) But upgrading to a bigger bed had an unintended benefit: His snoring seemed quieter. As long as he faced away from me and I wore my ear plugs, I couldn’t hear him. There was a problem when he was extra tired or rolled over to face me, and I’d usually end up going to the other room. But I lived with it until I got my bluetooth headband. Granted, buying a new bed just to get some sleep with a loud snorer can be a pricey fix, but it’s something to consider if you’re really wanting to sleep in the same room. Sometimes, there’s just no getting sleep when a partner snores. When that happens, it’s perfectly okay to go to the couch or spare bedroom. My husband used to take it personally when I’d leave because he was too loud. He finally realized it was better to sleep separate than to deal with a tired, cranky witch the next day. I found it was better to tell my husband before bed that I’ll be sleeping in the other room so there won’t be any hard feelings. And when he’s overtired (which is usually when he snores the loudest) he’ll give me a head’s up that it’s probably a good idea to sleep separate tonight. When I got married, I expected a lot of things. Sleeping next to a chainsaw for the rest of my life was not one of them. When you sleep with a loud snorer, you’ve got to get creative in order to get any rest. 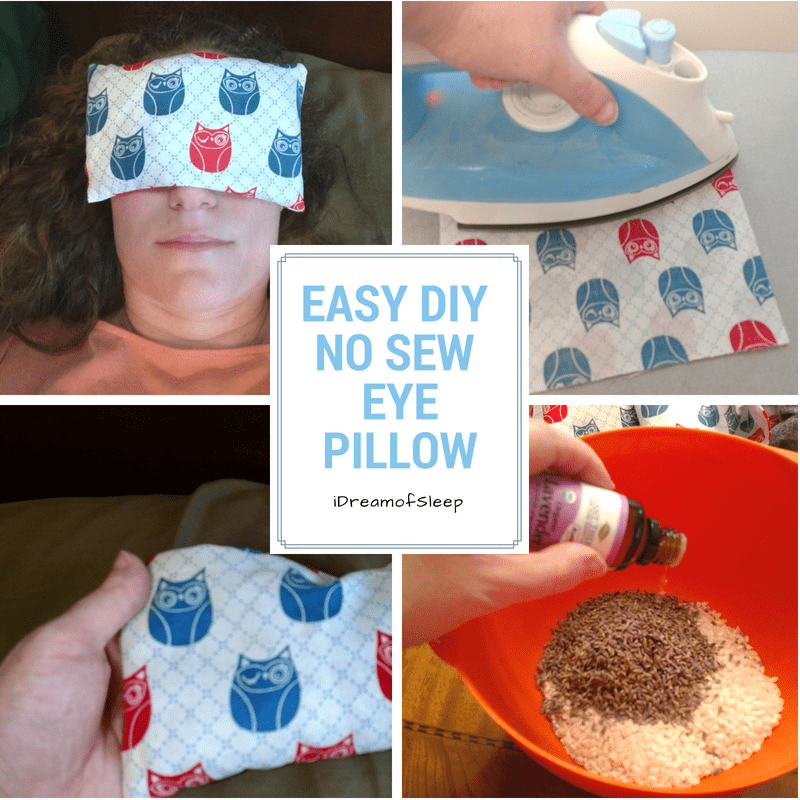 My husband was in denial at first, but then looked into ways to stop snoring naturally. It took a lot of trial and error on my end until I finally came up with my earplugs/sleeping headphones combination to sleep in peace in quiet. 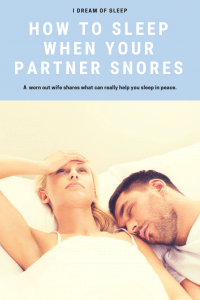 So next time you’re laying there contemplating if snoring is a justifiable homicide, try some of these snoring partner tips that can help you figure out how to sleep through snoring. You just might get a good night’s sleep. And avoid divorce or jail! Join the Free 7 Day Sleep Challenge! Hi, I'm Julia, a former insomniac turned sleep diva who knows what it's like to be sleepless. I conquered my insomnia naturally, and now I'm committed to helping others get the sleep they need so they can sleep well, dream big and live life the the fullest. If you'd like to connect with me, shoot me at email at julia@i-dream-of-sleep.com. I don’t need to block out snoring, but I may need those headphones! 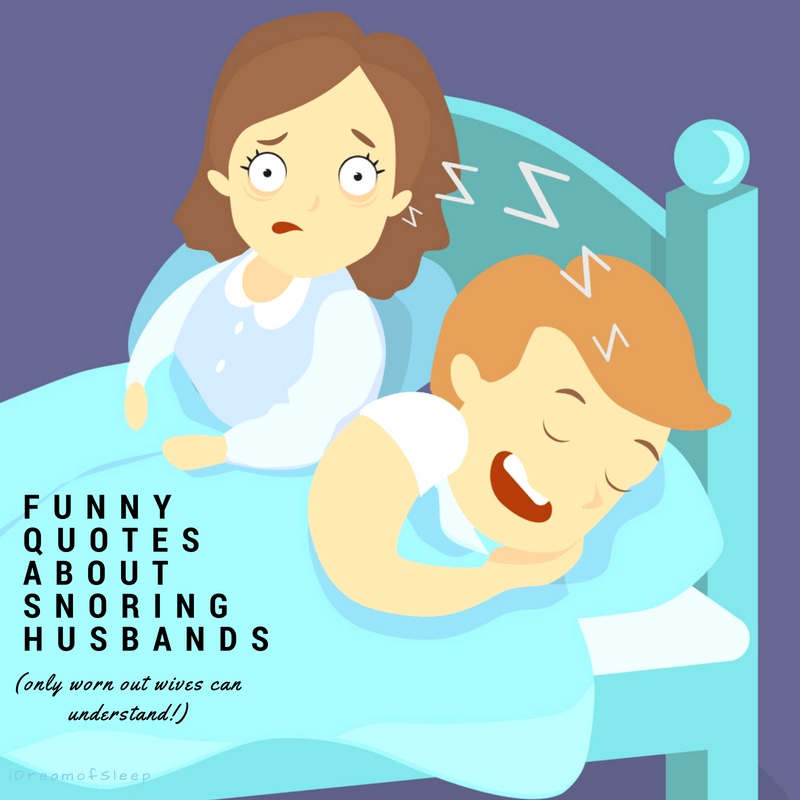 Why is it that it’s always the husband that snores? My wife snores like a drunken sailor. I haven’t had a good night’s sleep in years. I’m ordering some of these things right now! Do you ever have an issue waking up from an alarm when you wear the headphone and ear plugs? Which of the sleep phones do you personally own? I was really worried that I might not hear anything if our kids call us or if they fall out of bed or something. I’m usually pretty alert and my husband is not that easily woken up. How can we make sure we still can take care of the kids? Just got married three months ago, and I haven’t slept well for three months. 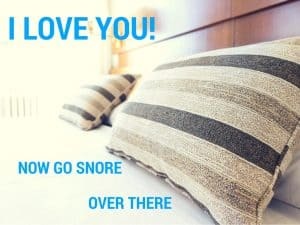 I love my husband to death, but he snores. I love the advice about trying to fall asleep before him, I will try that tonight! Also, I want to look into getting him snoring treatments. I want to be able to sleep again! A former insomniac turned sleep diva who knows what it's like to be sleepless. I conquered my insomnia naturally, and now I'm committed to helping others get the sleep they need so they can sleep well, dream big and live life the the fullest. 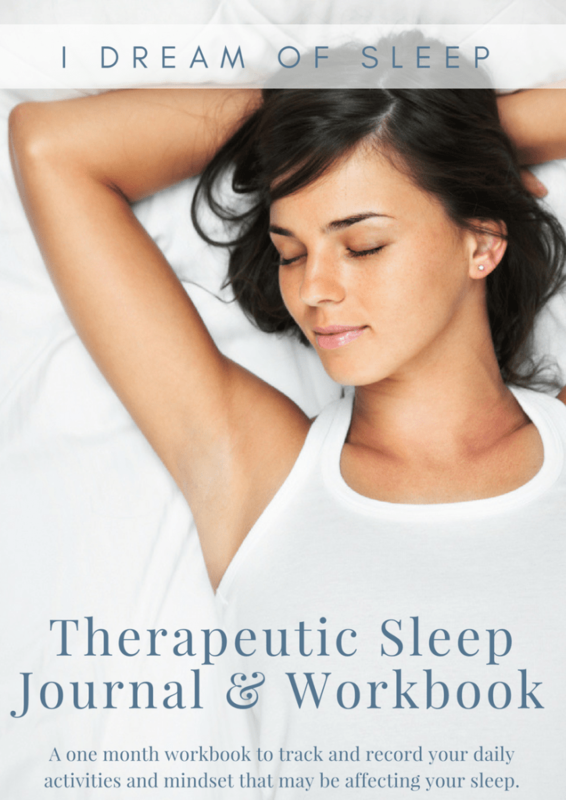 A one month workbook to track and record your daily activities and mindset that may be affecting your sleep. 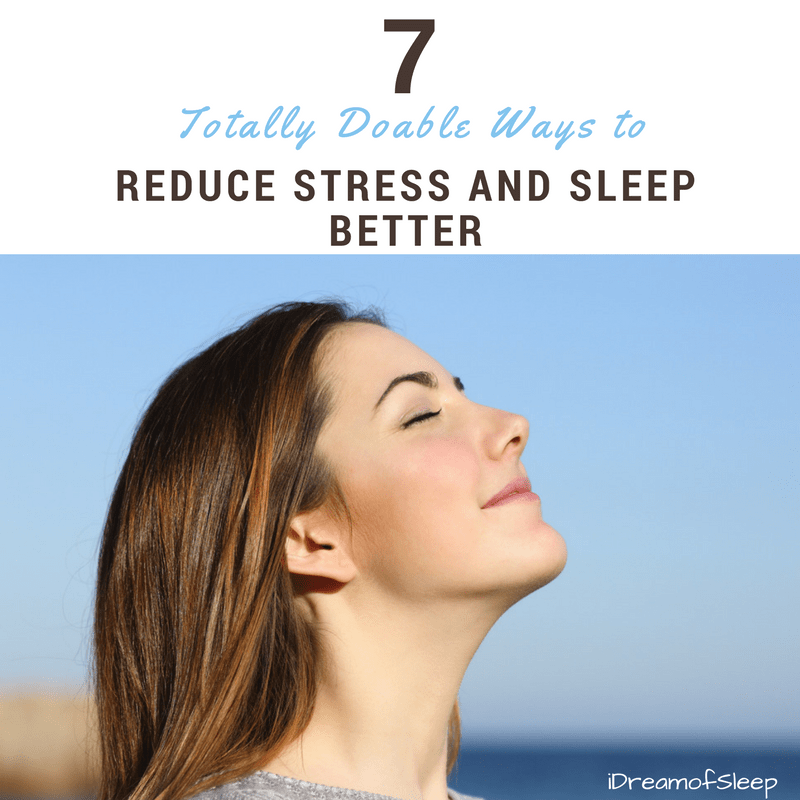 Don't Forget To Join the Free 7 Day Sleep Challenge! Copyright ©2019, I Dream of Sleep. All Rights Reserved.